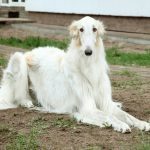 Borzoi is a dog breed which was modified and perfected in Russia, and its breeding was mainly attributed towards creating a hunting dog. 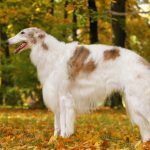 By AKC, this breed is categorized as hounds and by UKC, it is classified as Pariahs and Sighthounds. 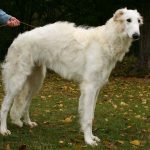 This breed is also known by the names Russ kaya Psovaya Borzaya, Russian Wolf hound, Psowaya Barsaya, etc. These dogs were used to hunt as a team comprising three hounds where the targets were wolves, fox, rabbit, etc. Over time, they have become popular as a royalty companion all across Europe. 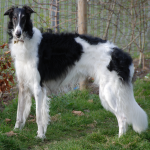 Brozoi is a breed of domestic dog also called the Russian wolfhound. Gentle, Intelligent, Athletic, Respectful and Independent. 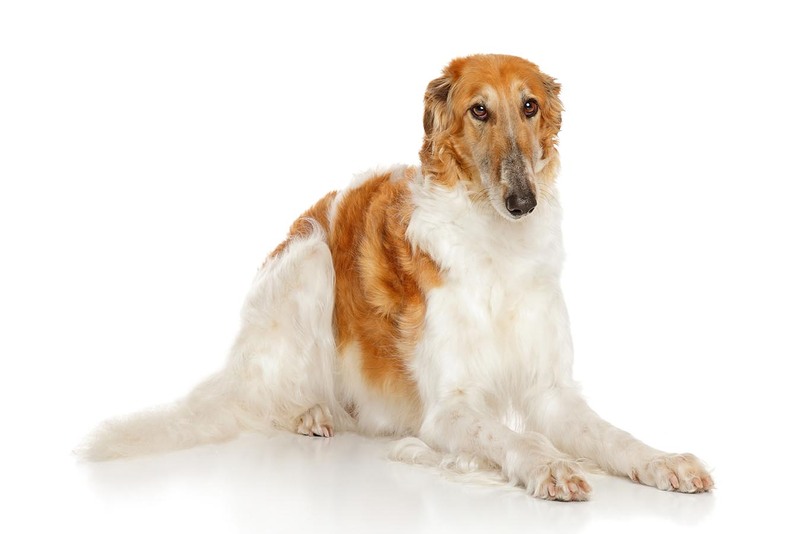 Borzoi especially during its growing years needs a diet highly rich in nutrients. This is because of the enormous urges and requirements of intake during the first few years of their lives. These hounds can live with ease in an apartment or house if well exercised. 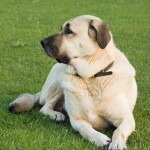 These are less active indoors as compared to other breeds, and stay very peaceful. But the case outside is completely different, as they would need plenty of time and space to run, walk and play. So the recommended size of the lawn is at least average. And if planned to keep off leashed, it should be properly kept inside fencing. They need plenty of exercise to stay fit which may include daily walks or jogs, running off and on leash, etc. These are good runners and can easily keep up alongside a cycle. But the thing is it needs to be controlled once it gets interested in small animals. 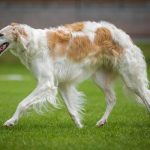 Borzoi maintains cleanliness at all times, and that’s the reason why this breed sometimes is also regarded as cat-like. 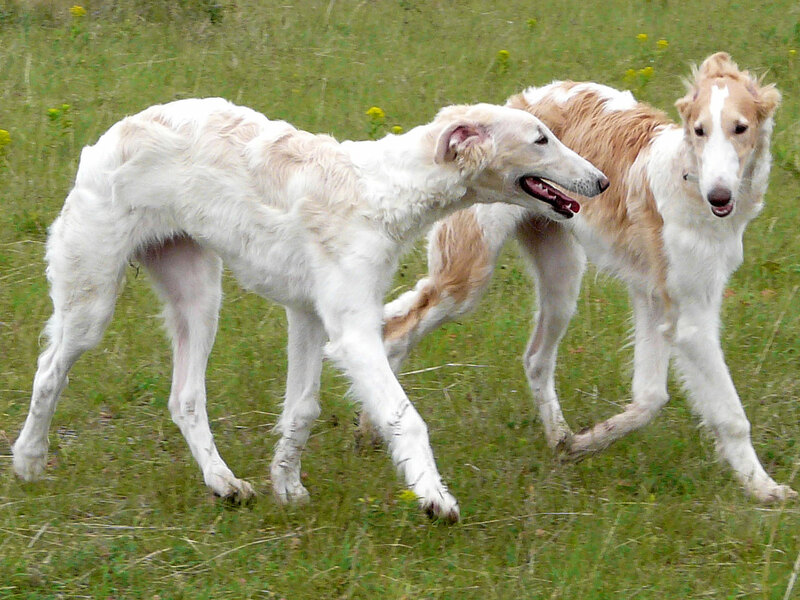 The average life of Borzoi hounds is about 10-12 years. The litter size of these dogs is around 6 puppies but this may lie anywhere between 1 and 11 puppies. Even one pup is also not an uncommon thing to find. 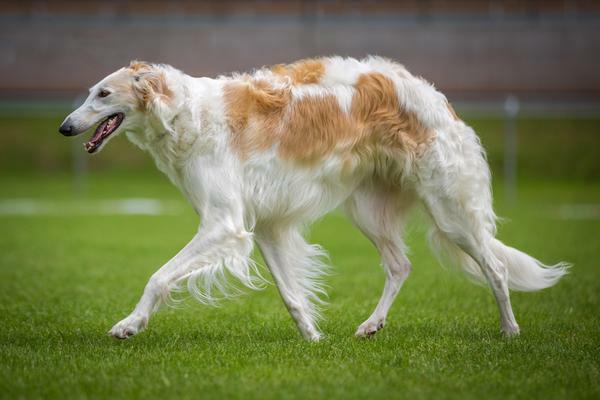 Borzoi breed dogs have similar shape as that of Greyhound. These are large sized dogs and are Dolichocephalic, which means they have a long face. The head is slightly domed and narrow. 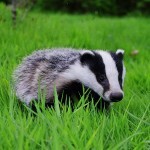 There is an arch observed in muzzle and the teeth make a scissor pattern on biting. There is a slant in the dark eyes and the nose is large and black. Ears are small and lay on head on the back side. The chest is deep and narrow and the back line is slightly arched upwards. The tail sets low and is curved and the legs on front are straight. The coat is silky, long and wavy or flat. 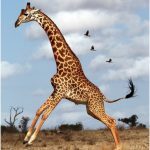 Hair on tail, hindquarters and neck are relatively longer than other parts of body. Color comes in wide rage including white, black, gray or tan with possible markings and spots of black color. There may also be golden color which may either be mixed or solid. 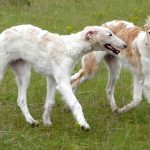 The average lifespan of these hounds is 10-12 years. As per a survey of UK Kennel Club, its median lifespan is 9 years and 1 month. However, they may easily reach up to 14 years of age if properly maintained. 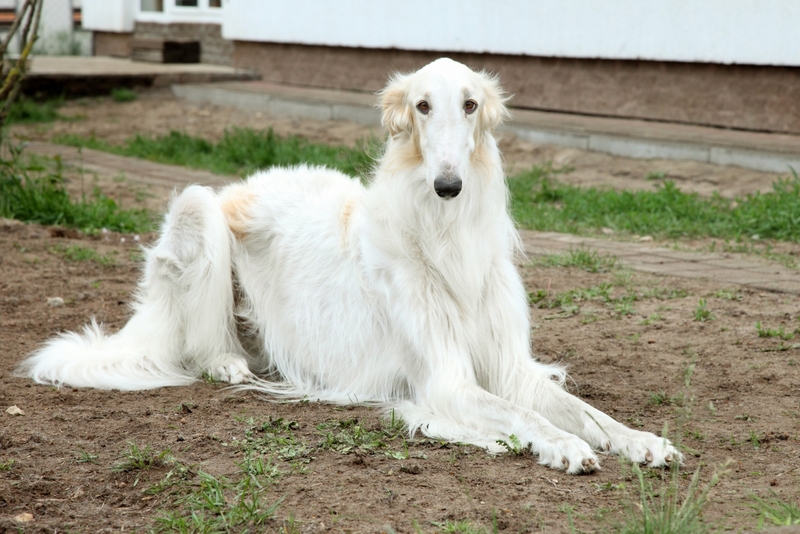 Borzoi dogs are found to be prone to bloating. So it is recommended to avoid large meals, and small meals for two to three times per day are suggested. These are also sensitive to drugs and exercising after a meal should be avoided. As per a survey, one in five of them die of old age, and the other reasons of death are cardiac problems and cancer. Other health related problems are reported to be caused due to modern breeding techniques and practices. 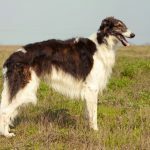 For hundreds of years this breed has been bred and modified by Russian nobility. 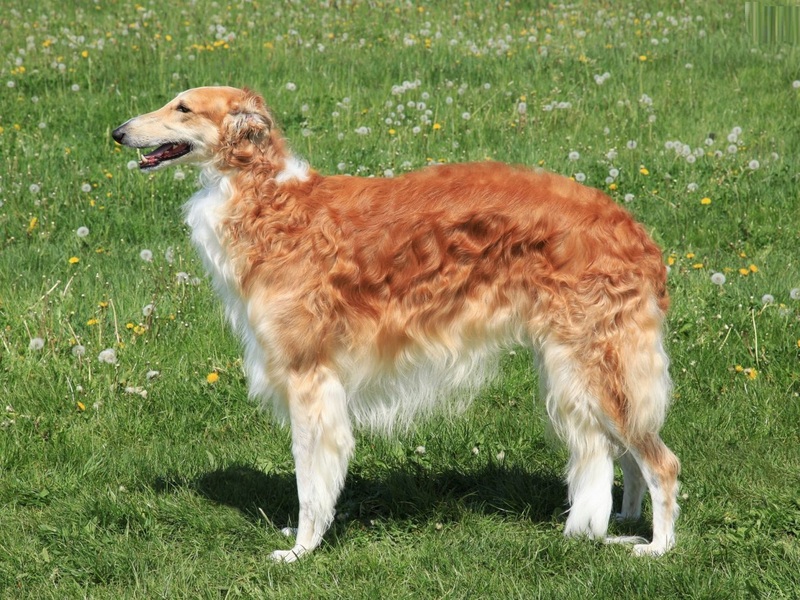 These were created by crossing long haired sheepdogs of Russia and Arabian Greyhounds. 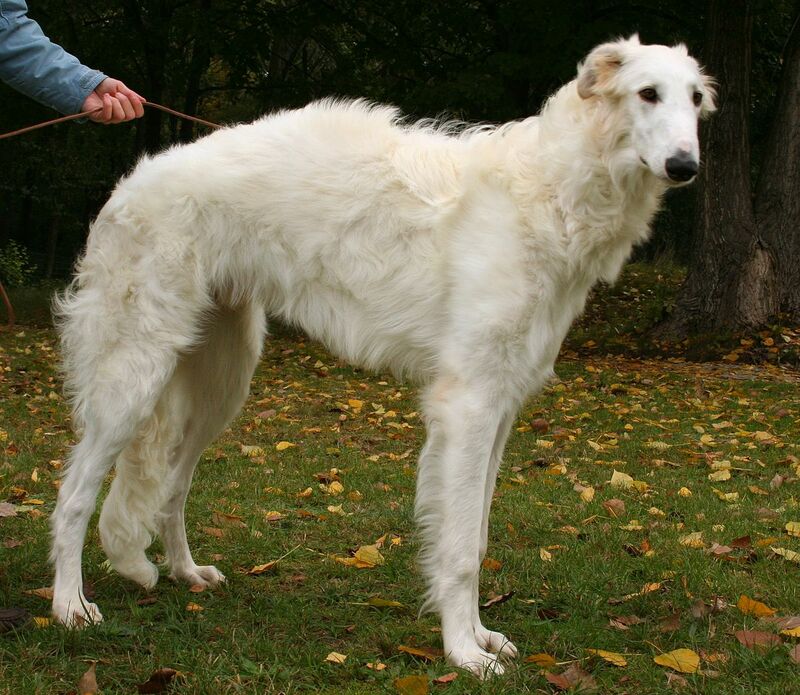 Initially they were called as Russian Wolfhounds in America and then after 1936 the name Borzoi became more popular. During time because of its modified use as a companion dog its temperament evolved to be more docile. 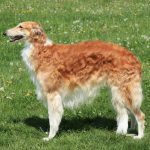 In 1981 this breed received the recognition of AKC. 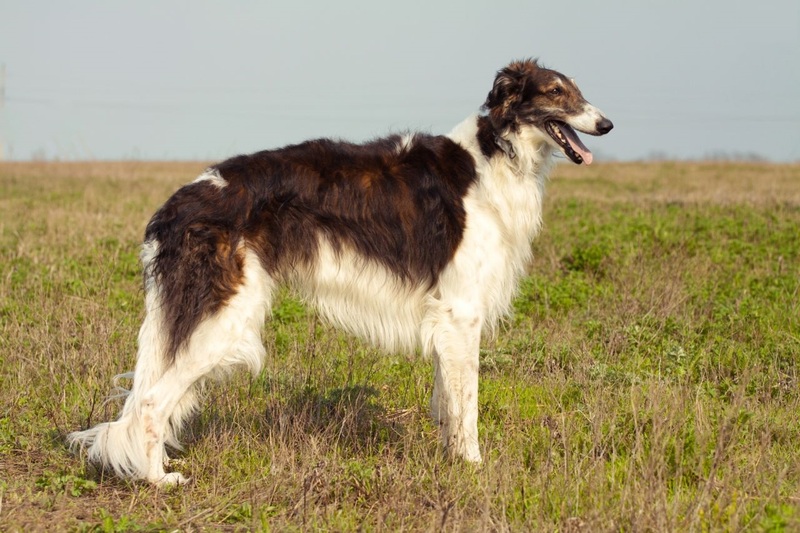 These are famous for talents like sighting, hunting and coursing. 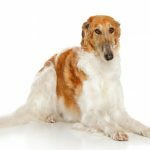 The silky coat which is generally long and flat or wavy is not very difficult to groom. If regularly shampooed and brushed, it can be kept clean. Bathing such a big dog requires a lot of effort and should be done after some days. To stop the hair from spreading between the toes it needs to be clipped. 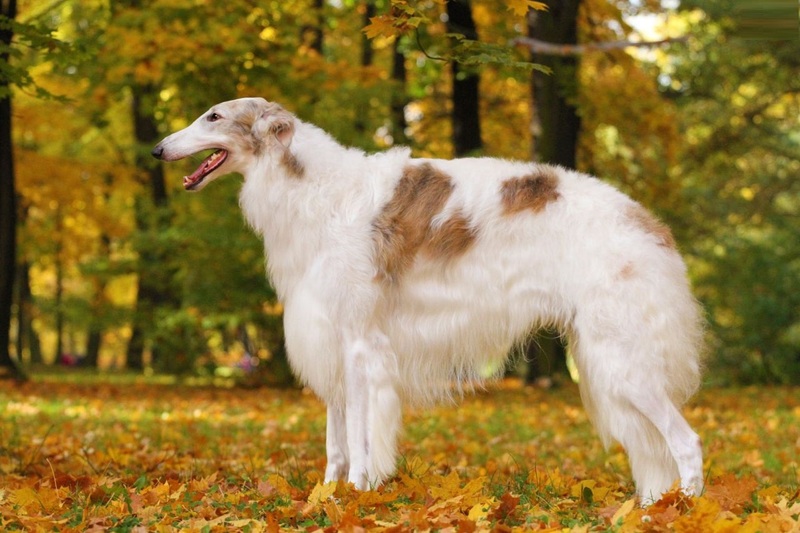 Borzoi breed is a seasonal shedder and may shed heavily during the changing of seasons. 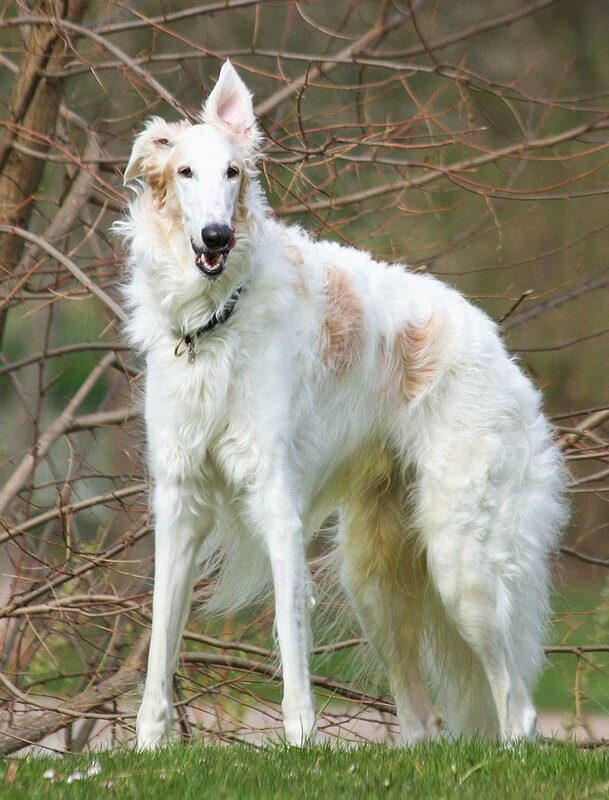 Borzoi dogs are considered to be intelligent and sweet. 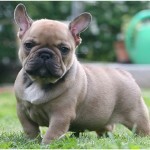 These are proud dogs and are also extremely loyal and affectionate to their families and known people. If properly trained, they may be obedient though they aren’t always looking to please the owner like some other breeds, like American Cocker Spaniel and prefer to live and think freely. However, they are capable of learning and are also very intelligent. Consistent, firm and gentle training is required for this breed. They love to stay clean, are quiet and calm dogs, and they rarely bark. 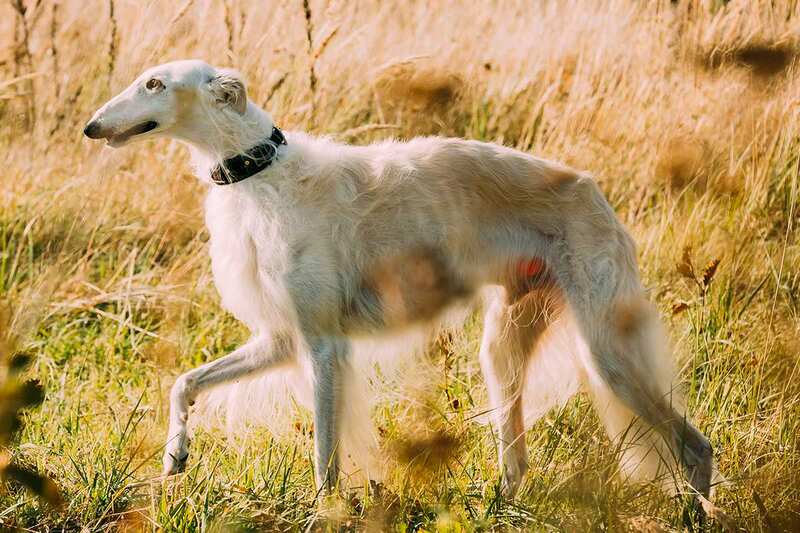 However, these are very fast and have very low territorial instincts, resembling all sighthounds. This results in the lack of trust on them when they are left off-leash. These may get uncontrolled while catching another smaller animal and sometimes they don’t even listen to their master. They are generally comfortable with other dogs but may show aggressive behavior with smaller animals, like rabbits, cats, guinea pigs, hamsters, etc. In order to keep them with these smaller pets, they need to be civilized properly starting from very young age. But its natural instinct of being a hunter can’t be erased completely and hence should be kept in mind all the time while doing its things. These dogs are known as children friendly but shouldn’t be trusted because of their rough nature of play and natural instincts. These are found to be happiest when they are the entertainment involved is related to running. 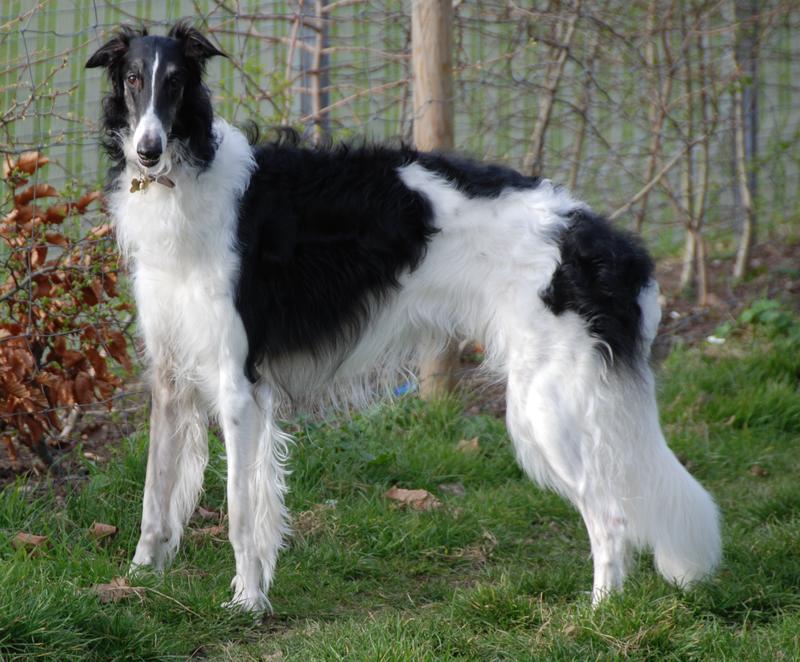 The minimum height of the Borzoi male hound is about 28 inches while for the female, this is 26 inches. 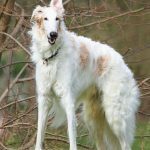 The weight of a male Borzoi is between 75lbs and 105lbs (34-48kg) and for female, it is between 60lbs and 90lbs (27-41kg). 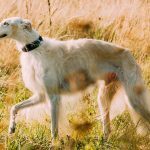 Apart from the above-mentioned traits and characteristics, the important thing to consider is the treatment offered to the dog. If the owner of the dog knows the basic instincts of this animal, then surely there will be a strong bond and level of understanding between them. Moreover, the dogs work and perform their fullest with a suitable leader around and if the person is weak in leading, other problems may arise.